Hey there. You know what I like to do for fun? I make up little short stories (and songs!) about whatever pops into my head OR whatever is on TV. I don't do it for me... I do it for the kids! lol My wife is not the biggest fan. If she is, she has a pretty weird way of showing it. Facepalming is a form appreciation right! See!!! You did it just now, huh dear? lmao! Anyways, it's pretty common for me to start singing Family Maaaaaaaaaaan (a la Rocket Man) while watching Stewie from Family Guy sing it or see an awesome commercial and then turn to one of the kids and say, "In a world..." and go off and do my own little drama filled commercial of whatever we just saw on TV. Yeah... I do that. In a world... where tacos roam the Earth. 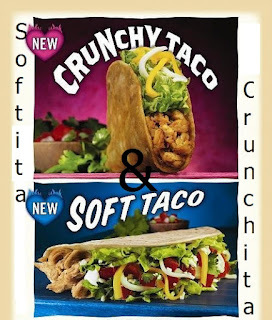 Two tacos, Softita and Crunchita, one quest, "I don't know what's missing... I just don't feel complete. ", one uncertainty, "I just don't know if I could do it, Softita. I've been crunchy my whole life. ", one tragedy, "CRUNCHITA!!!!! NOOOOOOOOOOO!!!!! ", one unforgettable story between best friends, "We'll always be together." This is.... The Softest Crunch. Yeah, something like that ALWAYS comes to me. It's stupid but it's fun and I LOVE doing the voices for the characters that are supposedly in the movie. lol Yeah, in my head, this is major motion picture waiting to happen. 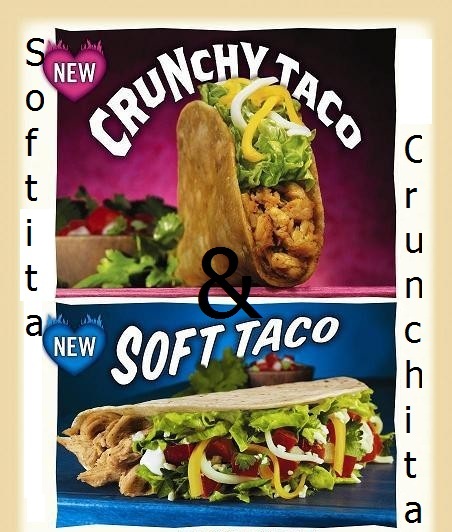 Anyways, tonight, I've decided that I'm going to breath life into Crunchita and Softita. I'm going to start working on short (very short) stories involving the two. And because I do these little stories for the kids on the fly, I have absolutely no doubt that I would be able to come up with some pretty good mischief for Softita and Crunchita to get into. I'm already chuckling to some of the ideas that have already crossed my mind. lol I'm shooting for a story every now and then. So who knows, maybe one day you'll be able to purchase my book of short stories! lol Later!